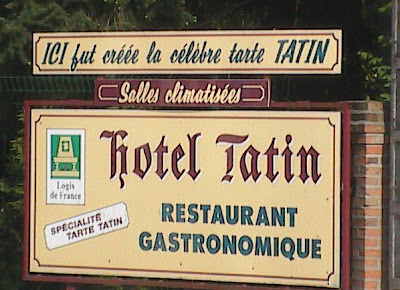 It was created in 1898 at Hotel Tatin in Lamotte-Beuvron, about 40 minutes south of Orléans. As one version of the legend goes, Stéphanie Tatin, one of two sisters who ran the hotel, left some apples cooking in butter and sugar for too long. (Aw, just give me a plate anyway.) She tried to salvage the situation by putting the pastry base on top of the apple pan and sticking the whole thing back in the oven. Then she flipped the mess back upside down and served it to guests, who raved over it. The dish is now a permanent fixture on the menu at Maxim's Paris. For the official recipe, click here.